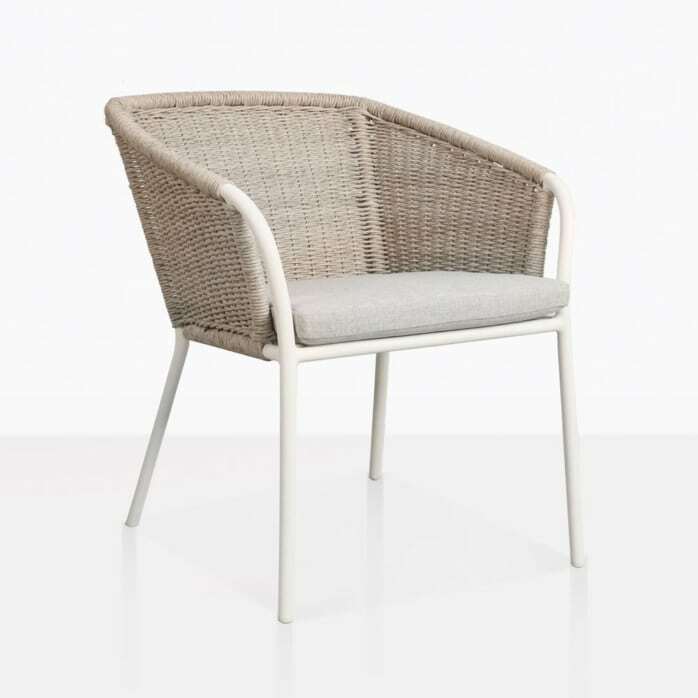 Dine outdoors this summer in the lovely Becki Wicker Dining Chair. 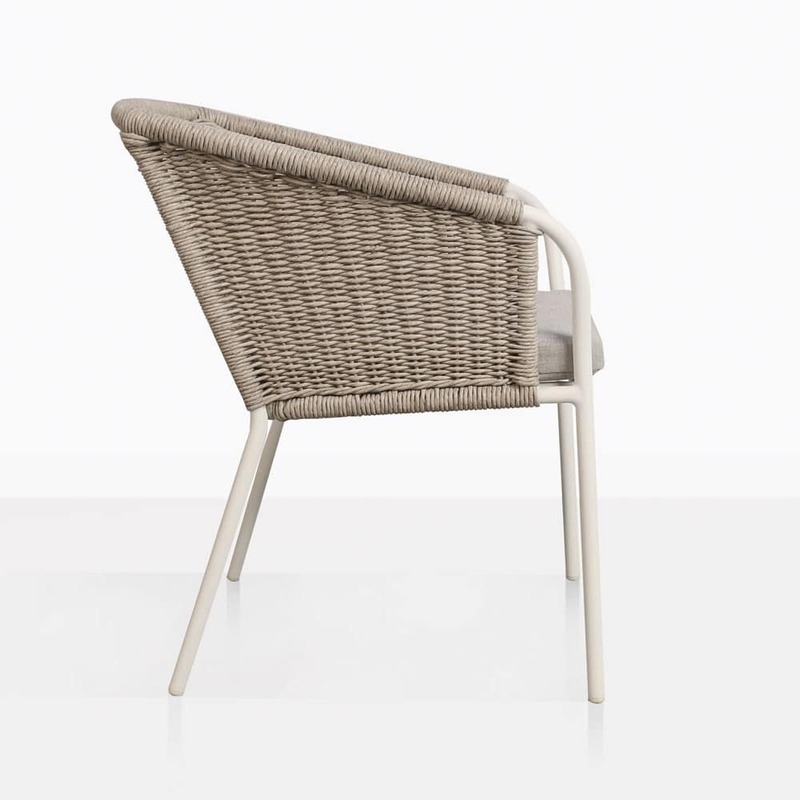 It has white powder coated aluminum legs, a Sunbrella® seat cushion and an outdoor wicker seat, back and arms. 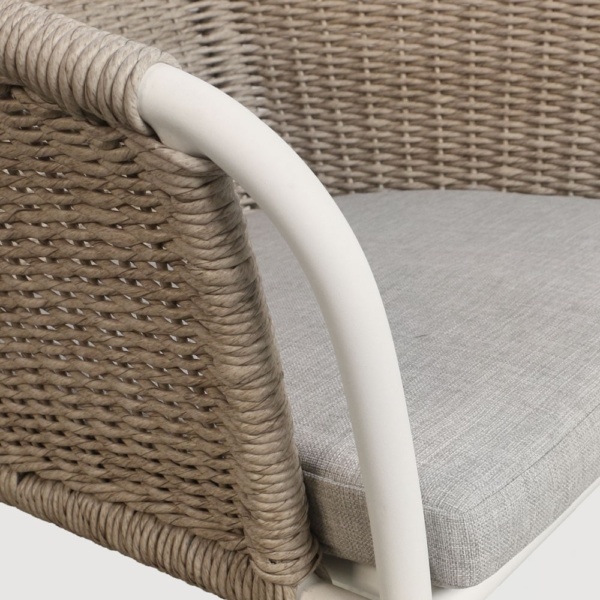 These materials are perfectly suited for outdoor use. 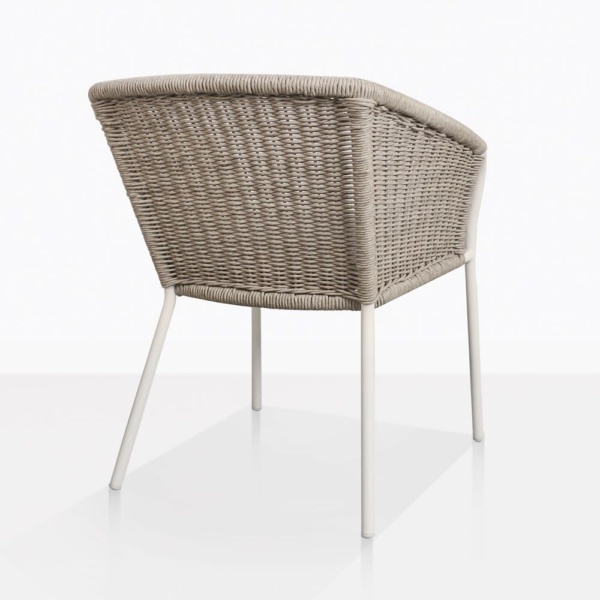 The Becki Dining Chair goes lovely with many of our outdoor dining tables including a-grade teak and concrete. We love mixing and matching materials to create unique dining sets! Start planning a beautiful alfresco dining space today. Shop online or call us today!